The head and thorax are black, whilst the wings are slightly smoky with an orangey-yellow stigma. 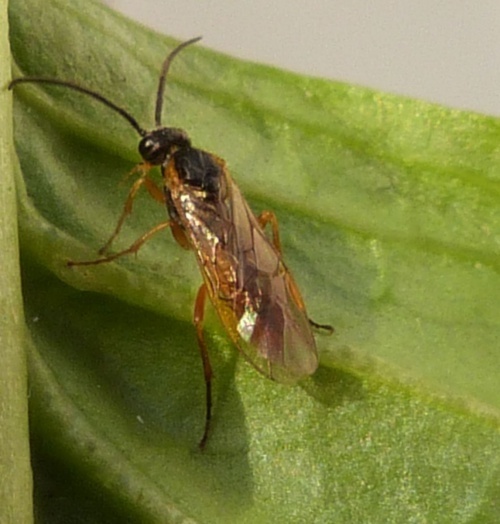 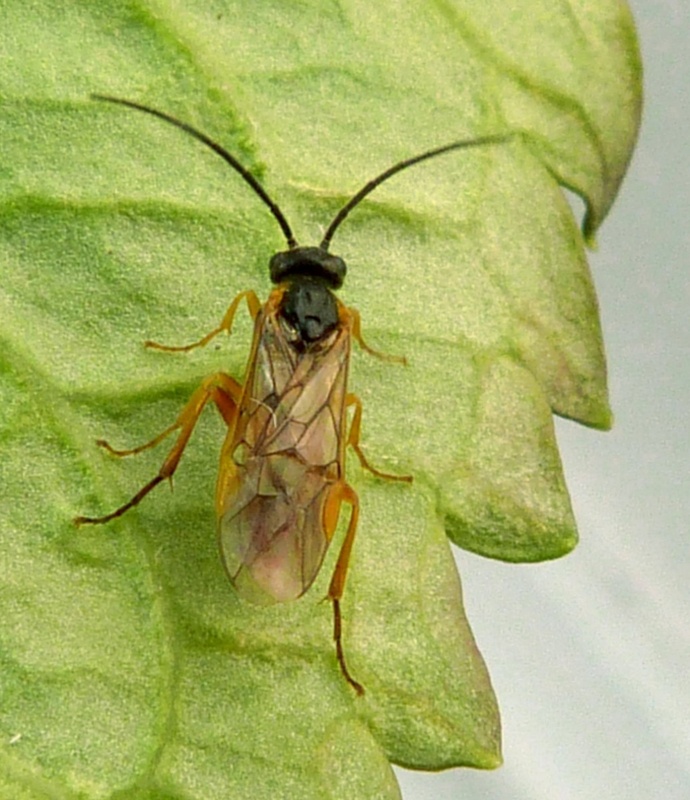 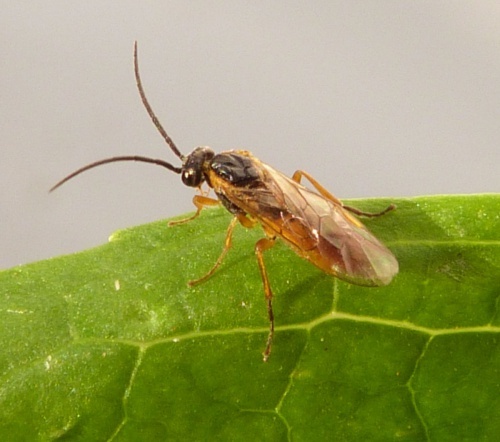 The legs and abdomen are also orange. Hedgerows and well vegetated areas.